“We are in a cybersecurity arms race, and the hackers are winning. Over the years, we have tested thousands of companies. There is always a way in." By 2021, cybercrime is likely to cost the world $6 trillion annually*—more than the combined GDP of the UK and France. As companies embrace the latest digital solutions and respond to rising regulations, cybersecurity has become a top management priority across industries and markets. But cybersecurity is a moving target: as companies embrace new technologies, so do hackers. The reluctance of firms to share cybersecurity information makes benchmarking and planning more challenging. 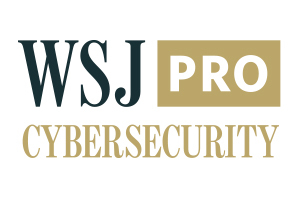 To fill this gap, ESI ThoughtLab joined with WSJ Pro Cybersecurity and a group of prominent organizations to launch The Cybersecurity Imperative, a thought leadership program drawing on rigorous global research and analysis. As part of this program, we surveyed 1,300 organizations across industries and countries, conducted advisory meetings and interviews with leading experts and practitioners, and developed analytical tools to benchmark approaches and assess performance impacts. 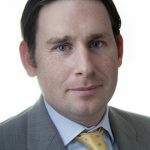 "As companies put everything on a digital platform and introduce IoT-operated devices, they create more attack points - which can have critical impacts on business beyond just personally identifiable information." Digital innovation is a double-edged sword: while it improves business results, it also exposes organizations to greater cyber threats. 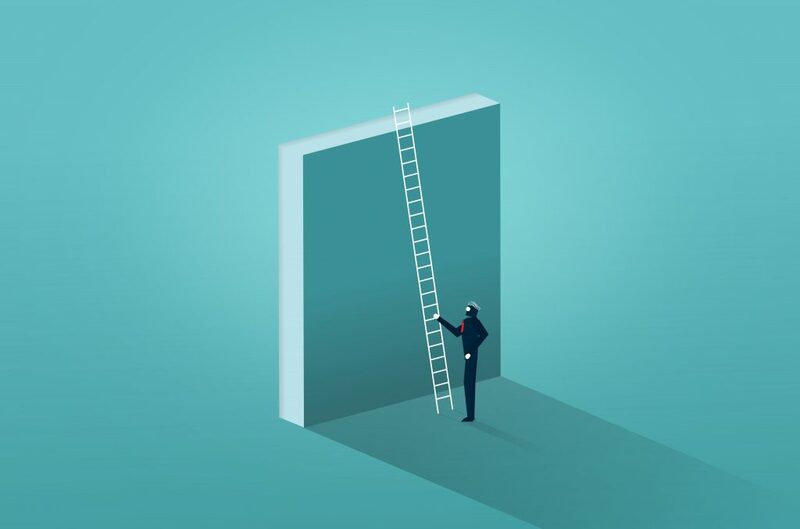 These risks rise as companies embrace new technologies, such as AI and Internet of Things, as they move to open platforms and cloud-based systems. Although the most common attacks are now malware/spyware and phishing, the growing use of supplier ecosystems, embedded systems, and mobile and web applications will escalate risks. Executives expect to see huge growth in attacks through third parties with network access (+247%), and also the reverse: attacks on partners and vendors through their own systems (+284%). 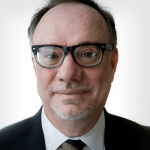 "Great cybersecurity programs are not built in a month. They're built over a span of years. You have to be willing to play the long game." We asked executives to rate their company's progress across five key cybersecurity categories: identify, protect, detect, respond, and recover. Based on these rankings, we calculated composite scores by industry, region, and other groupings. These scores reflect how companies in these segments fared against a mean score of 100. "First, make sure you're a continuous learner. You shouldn't be in security if you're not inquisitive. 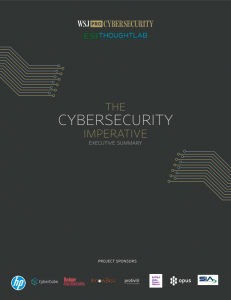 It's a fast-paced environment that requires people who have a thirst for knowledge and learning..."
The Cybersecurity Imperative presents our key findings, along with insights into best practices, performance metrics, and calls to action. Cybersecurity is still more of an art than a science. So we spoke to chief information security officers (CISOs), cybersecurity experts, technologists, and even former hackers, to learn more about the state of the art. Don't miss opportunities where The Cybersecurity Imperative has been featured. Follow ESI ThoughLab's social media accounts for the latest information on The Cybersecurity Imperative and be sure to join the conversation. 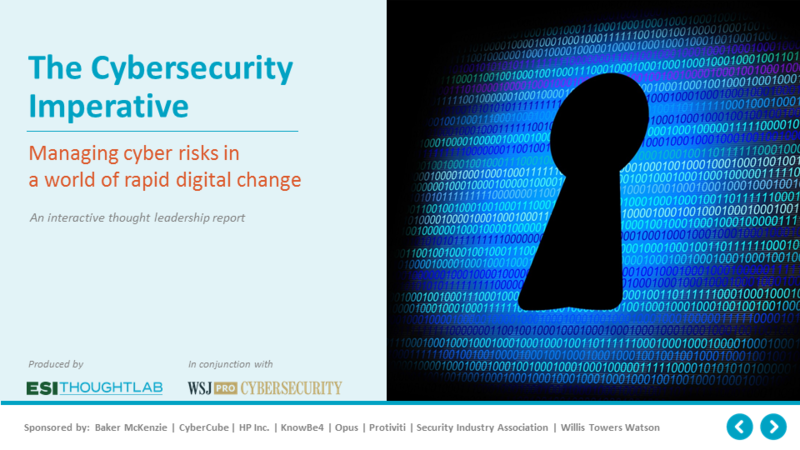 Due to rapid digitization, cybersecurity risks are increasing rapidly and companies can hardly keep up. 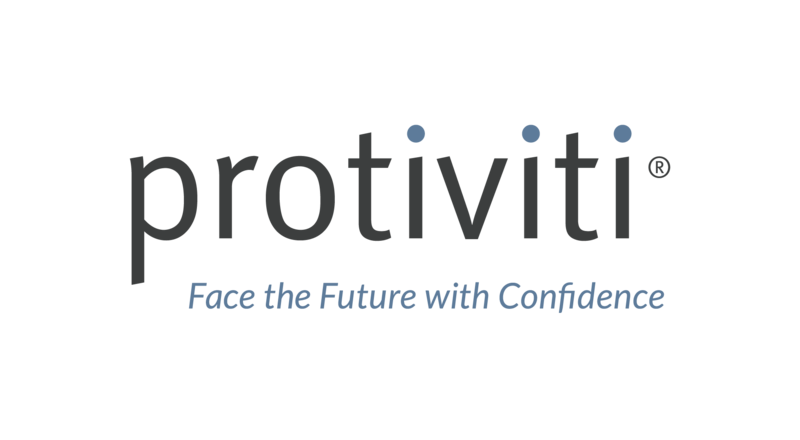 We would like to thank our sponsors and research partners for supporting this ground breaking thought leadership program. They graciously provided valuable direction and research input throughout the course of the study. Without them, this program would not have been possible. 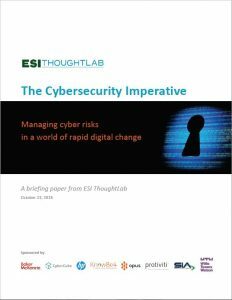 At ESI ThoughtLab, we are committed to creating visionary thought leadership and evidence-based decision support to keep organizations at the forefront of market change. For more information, please contact us.